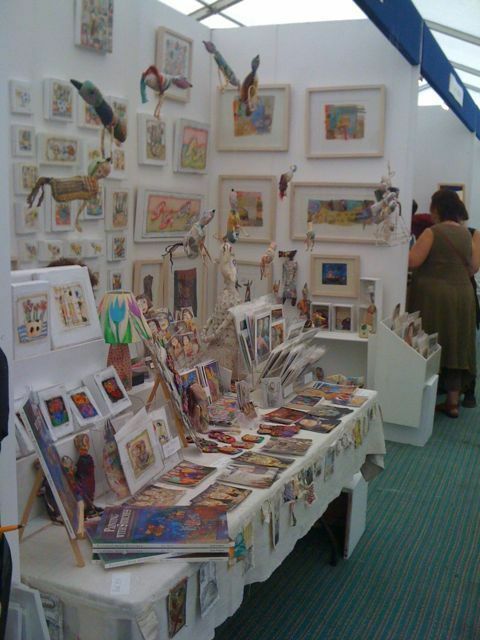 I’m exhibiting at the Hidden Art Cornwall Design fair this weekend. It’s at http://www.trereifepark.co.uk House just outside Penzance, a beautiful rambling Georgian manor house with ramshackle walled gardens, horses peering out of shady stables and lots of great designer makers in a marquee! 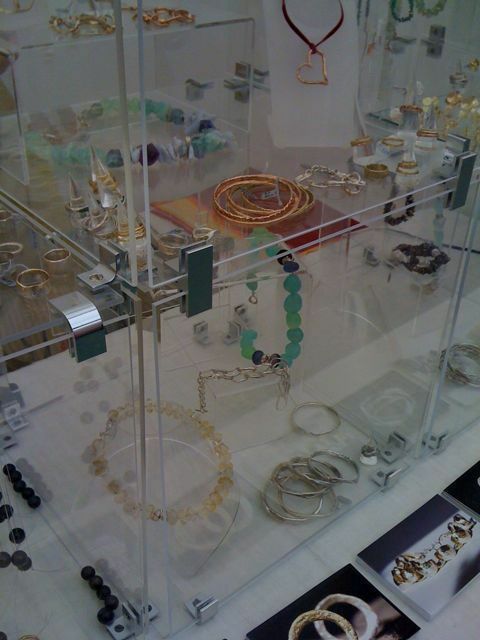 I’m next to http://www.emilynixon.com Emily Nixon whose gleaming stand is packed with her earthy, chunky bangles, rings and necklaces moulded first in wax and then lost wax cast from silver and gold. 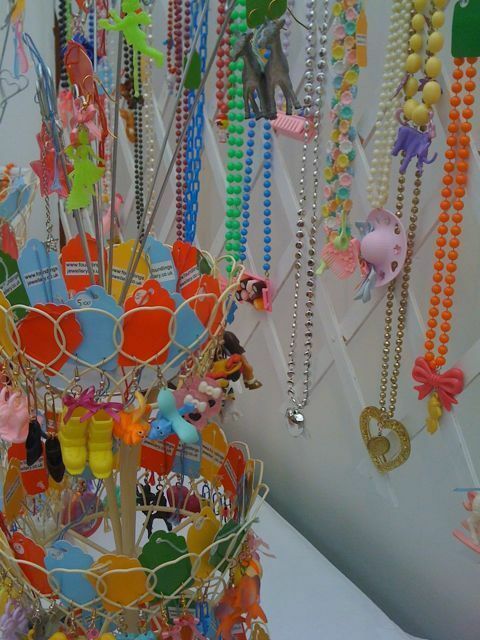 Opposite and in complete contrast is httpFoundlings Jewellery a little stand packed with kitsch necklaces, earrings, hair-clips and bracelets made from bright plastics and dripping with tiny plastic shoes, cats, dogs, my little ponies and other pop ephemera. (Biba made a beeline for the lot when she came to the private view!) Round the corner is Sue Dove a textile artist who I have heard lots about over the years and never met until now. She very seldom does shows so it was really exciting to see her stand. She makes rich hand embroideries that are like paintings with yarn instead of paint and feature peculiar creatures and enigmatic titles. The creatures at some point left the embroidery hoop and became three dimensional textile sculptures, some huge, some tiny all embellished with stitch, driftwood limbs or noses (I’m very excited about the little collage I’ve bought from her) There’s so much more but I haven’t had a chance to escape my stand yet so will try to report later. There’s also some great food (so I’m told – I didn’t get to eat any yesterday and survived on a lifesaving tuna sandwich from a fellow exhibitors mum!) and there’s a shiny air stream wagon selling good coffee so lets hope it’s another successful day and see you there!